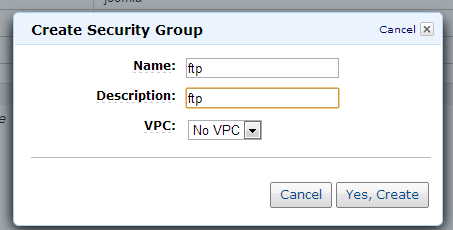 I recently had to create a vsftpd (FTP) server on an Amazon aws virtual server running Ubuntu 12.10. There are some issues with the default vsftpd tool that installs with apt-get on Ubuntu 12.10 (version 2.x… not sure which one off the top of my head). It will not allow virtual users access to their root directories. I wrote up a guide in May-2013 that showed how to get around this by writing to a sub directory, but that just does not feel right. So this guide will go over how to do it properly and with a virtual AWS machine. 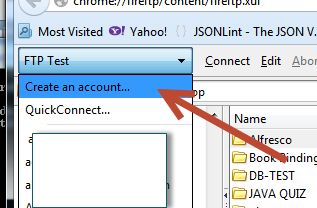 First set up a security group for you ftp server. 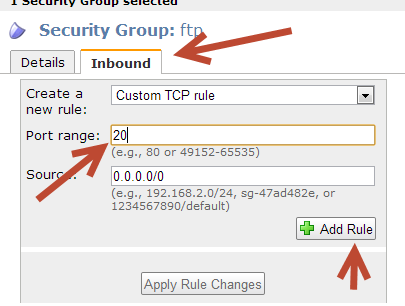 Click on "Create Security Group"
Click on the inbound tab. Enter 20 and click Add Rule. Now take a moment and locate the AMI you want to use to create your AWS instance. I will am looking for 12.04 Ubuntu 64-bit on the east-1 region and it an EBS. 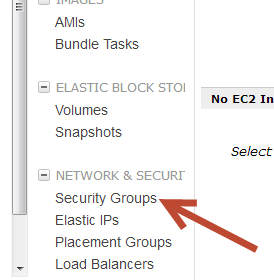 Use this ami and the security group you just created to start your aws instance. This will create a micro instance with an 8GiB EBS drive. I prefer to create an additional EBS drive to mount to this machine. That way I can store all the information on this FTP drive and I can unmounts it from this virtual machine and mount it to another on if I need to. Run the following command to see the hard drives. Special note: This extra EBS volume is not part of the AMI machine. So when you want to create an AMI from this machine you need to unmounts and detach this EBS from its instance. As a note, I am setting up my FTP server with virtual users using the PAM. 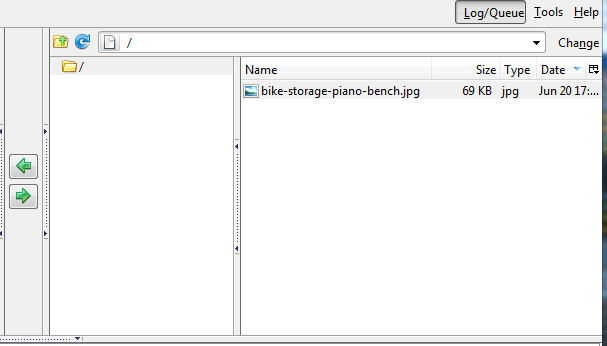 So if you want to have your normal linux users ftp to their directories this is not the guide for you. Make sure to put your address of your FTP server here. Put the following into the file and save it. I was not getting the correct address back. To fix this you can do one of two things. Or, you can wait for the DNS record to update on the machine, eventually running dig will result in the correct IP address returned. When that happens you are good to go.